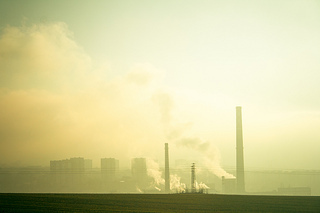 How Does Pollution Affect Productivity? We find that an increase in PM2.5 outdoors leads to a statistically and economically significant decrease in packing speeds inside the factory, with effects arising at levels well below current air quality standards. In contrast, we find little effect of PM2.5 on hours worked or the decision to work, and little effect of pollutants that do not travel indoors, such as ozone. This effect of outdoor pollution on the productivity of indoor workers suggests a thus far overlooked consequence of pollution. Back-of-the-envelope calculations suggest that nationwide reductions in PM2.5 from 1999 to 2008 generated $19.5 billion in labor cost savings, which is roughly one-third of the total welfare benefits associated with this change. They skim the subject, but never actually answer the question of whether the cost of achieving the PM2.5 reductions exceeded $58.5B (or whatever figure you want to use including health benefits or housing prices). Whatever the merits of reducing pollution, when someone says doing so results in $X in value, the cost of reducing that pollution has to be factored in to know whether there was a net gain or loss. It's an unpopular thing to say in some quarters, but we derive enormous benefit from some of the pollution we produce, particularly in transportation and energy. Whether those benefits outweigh the costs is an important consideration. Next Post »If You Care About Costs . . .